The Honeywell area imager Xenon Performance (XP) 1950g for retail, logistics, transportation and healthcare reliably captures faded and damaged 1D/2D barcodes, postal Digimarc, OCR and DOT codes (depending on the configuration). Honeywell knows which particular features an area imager needs in order to be successful. That’s why the corded Honeywell Xenon Performance (XP) 1950g fits wonderfully in your hand and is designed to be very robust. 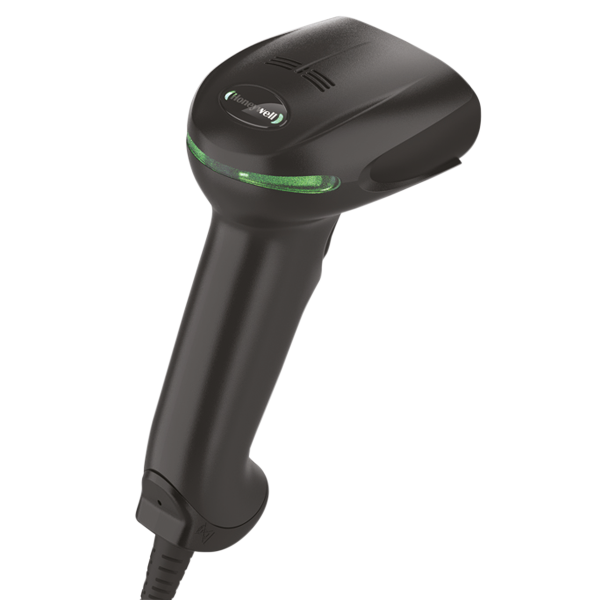 It withstands up to 50 falls from 1.8 m, also reliably scans barcodes in 95% humidity and features IP41 certification. The Xenon Performance (XP) is quickly integrated, since it supports all common interfaces: USB, keyboard wedge, RS232, as well as RS485 with support for TCGS (IBM) 64XX. The Xenon Performance (XP) is also available as a healthcare variant with disinfectant-resistant housing. Order the Xenon 1950g from Honeywell with your sales representative! Call now!